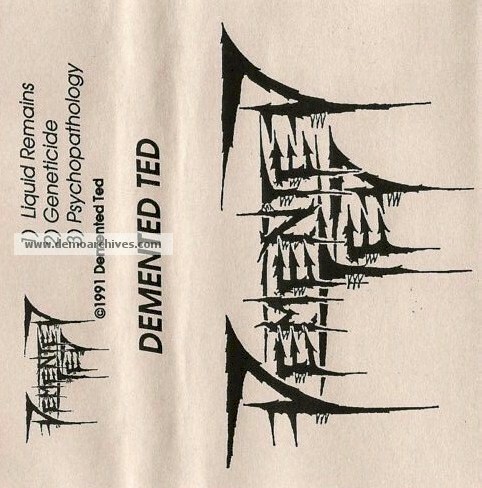 Demented Ted was a short-lived Chicago death metal outfit with ties to local industrial metal act Beyond, with whom they shared vocalist/guitarist Ron Janis and drummer Mike Anderson. Complemented by guitarist Ken Cutter and bassist Mark Kolar, the band released its sole LP, Promises Impure, through the Pavement label in 1994 and then promptly went their separate ways due to general lack of interest. 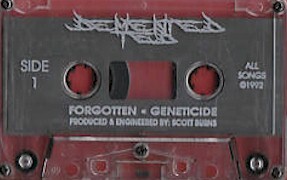 Three panel Xeroxed covers. Back has lyrics. 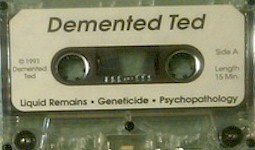 Tapes were studio tapes w/ stickers on the shell.